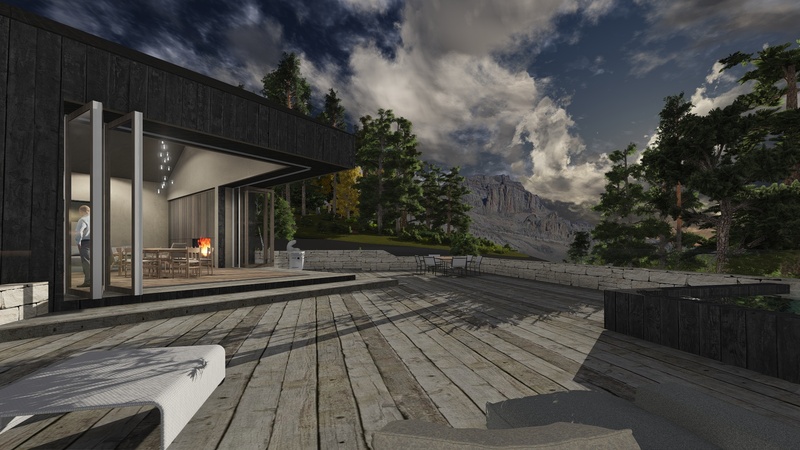 The Telluride project is a SFR development project by BDB. 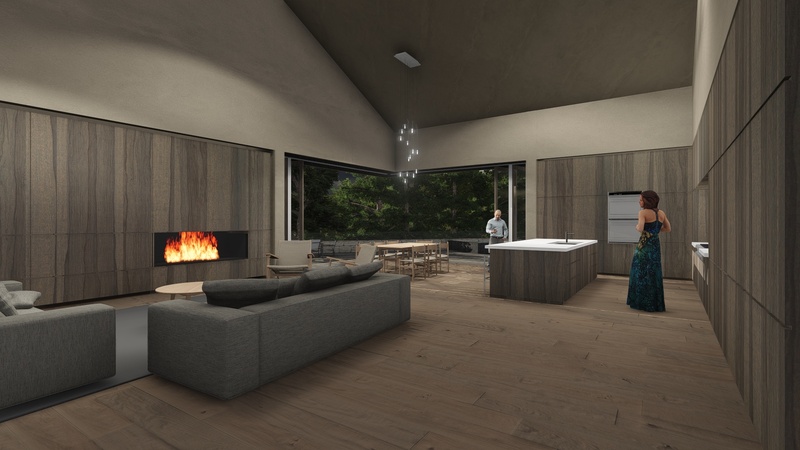 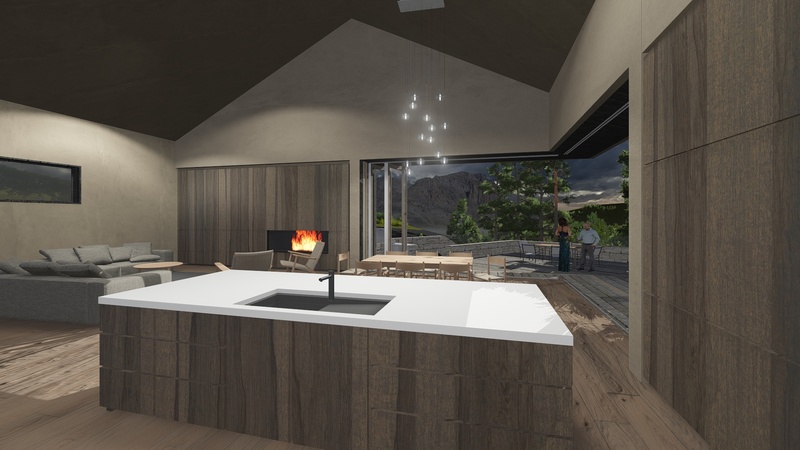 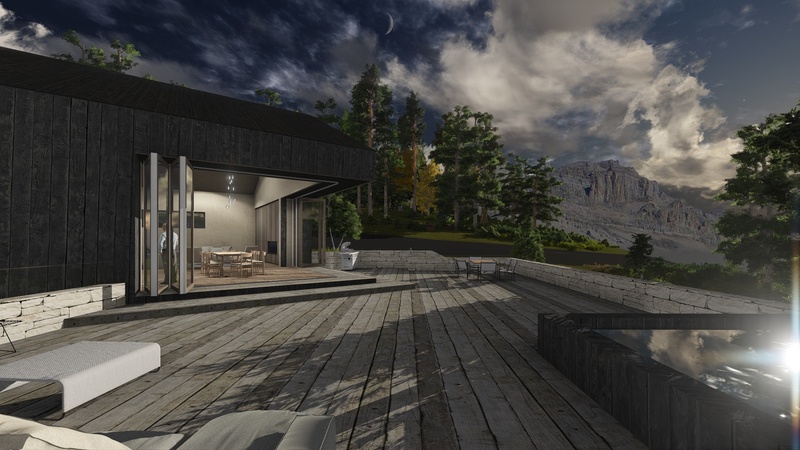 The design focuses on maximizing the views to the north of the Sneffels mountain Range, while maintaining the privacy and intamacy of the lot. 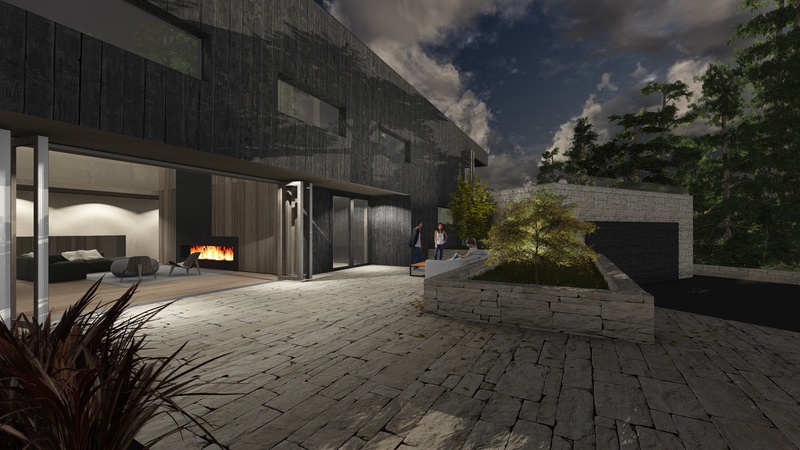 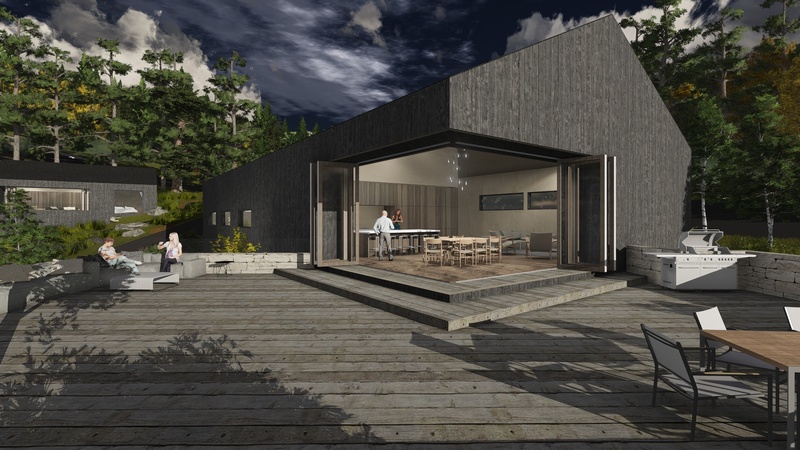 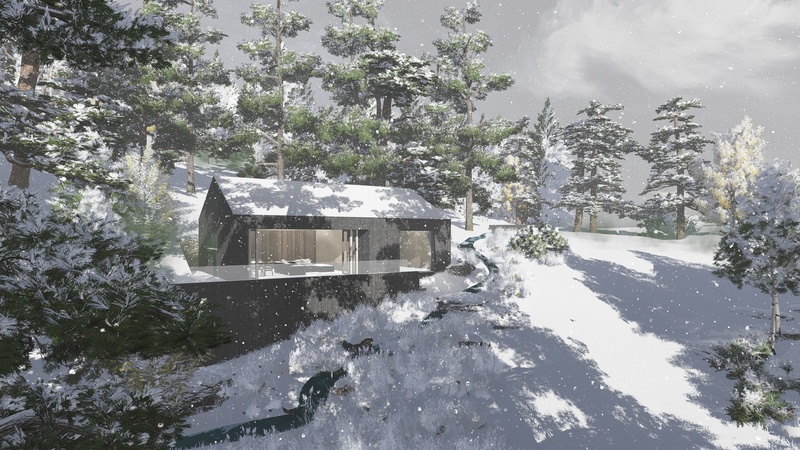 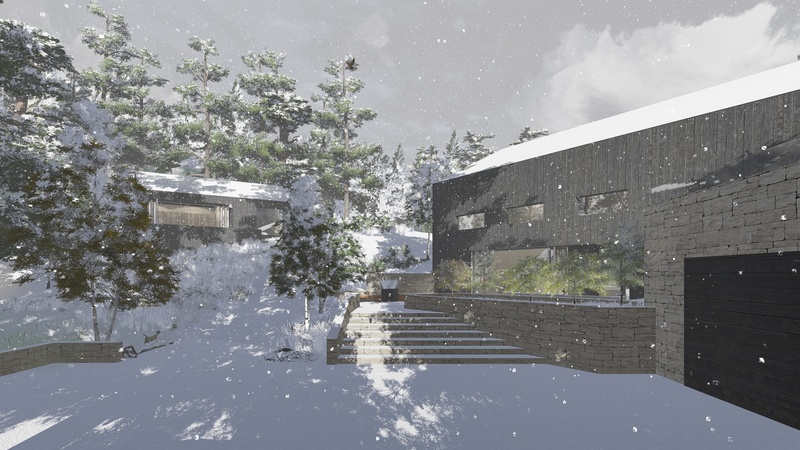 Working with the Mountain Village design Parameters, the house starts with the typical gable house and subtracts areas to add drama and excitement. 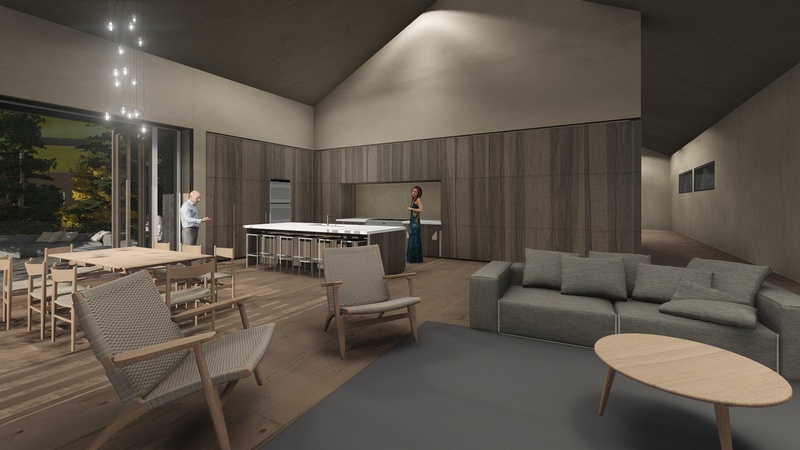 The goal of simplicity and minimalism is acquired in the detailing and overall layout to vast open spaces that encourage interaction and socialization of the residents. 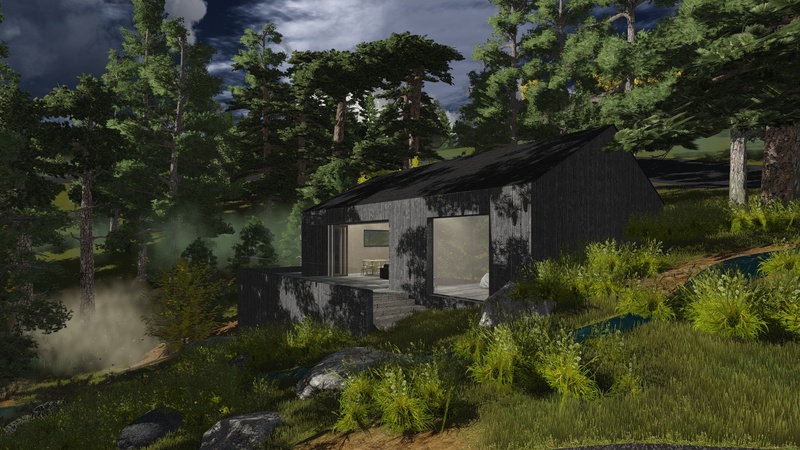 Opposing the lot sits a second detached unit that can be used for guests, or as a secondary vacation rental.